Hello friends! Mahalo for keeping this party going while I was on my travels over the past while. I’m officially back and ready to roll 1000%! 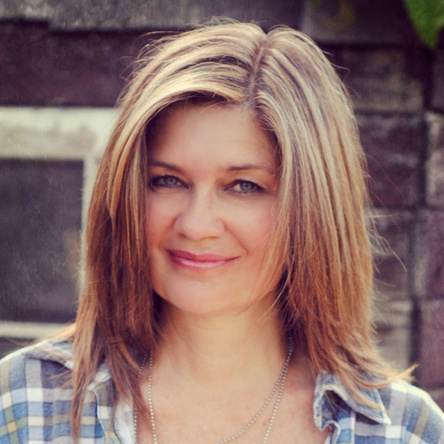 I have so many fun new things to share with you about my newest adventures. However I’m hungry to get my hands creating again, so I’ll infuse a little of both in the days ahead. From a 560 cat sanctuary to the most beautiful jungle in the world… get ready to book your ticket after seeing what I saw. It’s actually nice to be on home turf again. My first thought was missing the vivid shades of aqua in the sky and water only to come home to everything GREY… however the sun broke out today bringing a lovely blue sky. Thank goodness! And a good reminder on just how much colours and sunshine truly do enhance our every days. 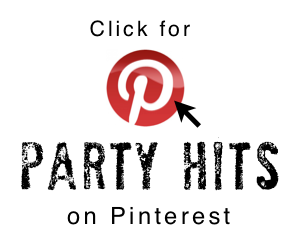 I went back through the last 3 parties and here are a few fab features… I will be featuring more on Facebook too so stay tuned… I’ve also been dreaming up ways to bring the party to life on Instagram, so I’ll be sharing how to do that soon too! Thank-you Susan, for helping me get into the junk-infused Christmas spirit. 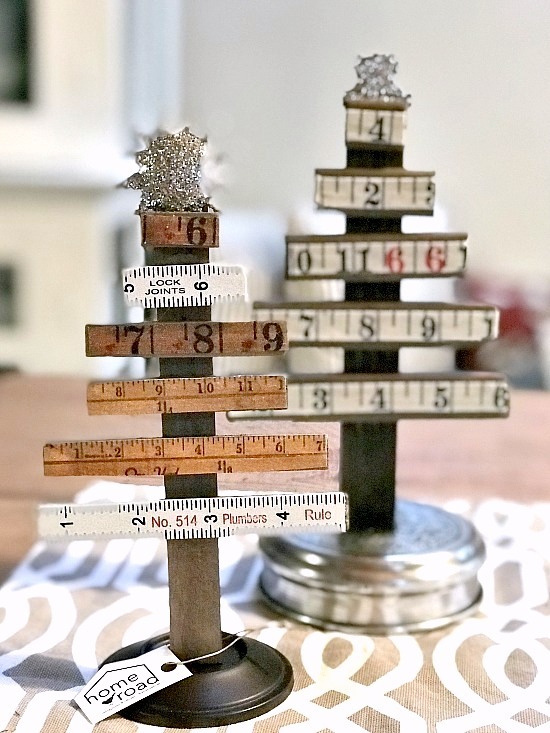 Because these little ruler trees are the perfect mix! Who else NEEDS this gorgeous beast in their life? I love the modern edge the pin legs give the old wheel. Sweet piece! I’m so glad Carlene did this white on black buffalo check combo. I’ve only done the opposite thus far, and LOVE how the black takes presence on this piece. Striking! 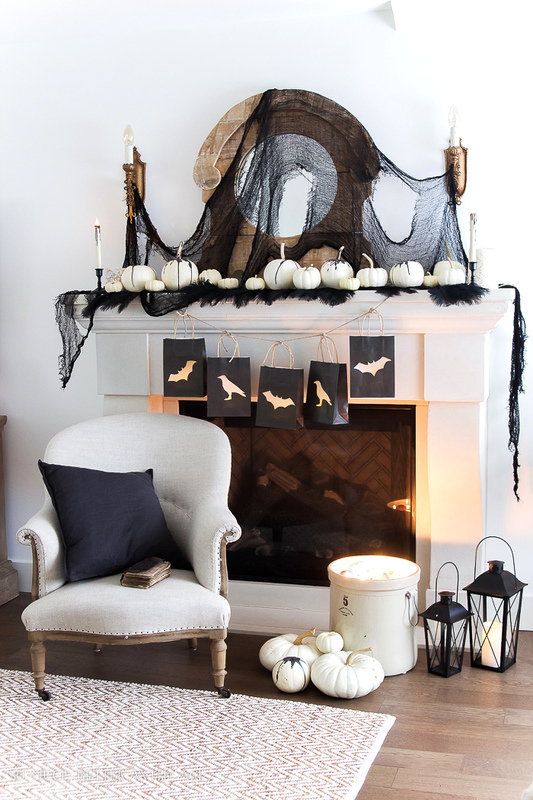 This classy Halloween mantel makes me want to back up time and make one too. Totally loving the lined up pumpkins and the GENIUS glow bag garland so much! 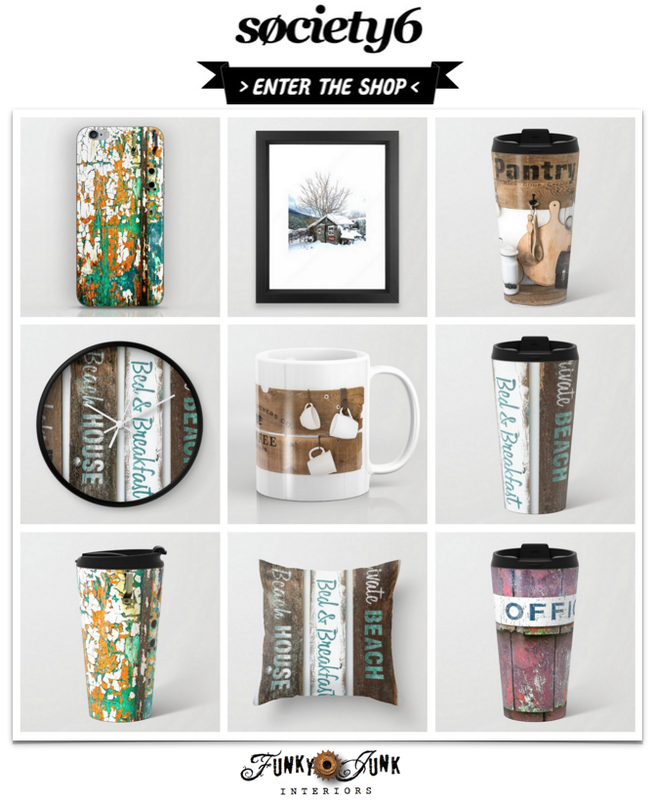 Make sure you peek in to see how that was made. 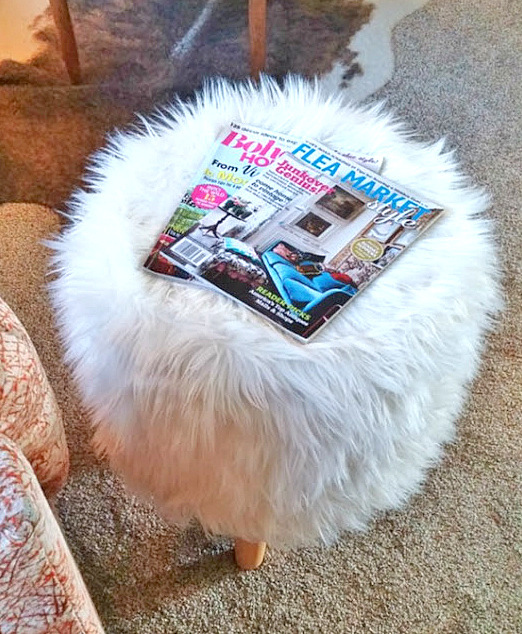 If you’ve ever wanted a fuzzy side table, this tutorial is thee one! The before made me smile… I would NEVER have taken a 2nd look at this. I’ve since changed my mind. 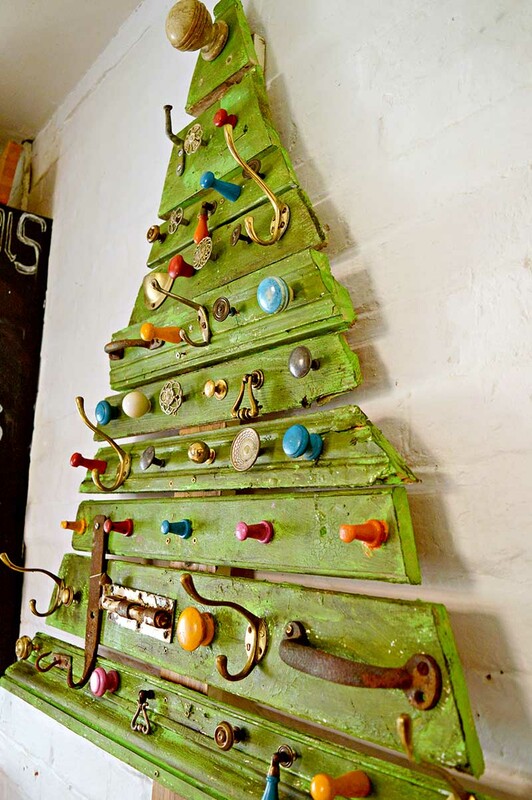 Don’t you even dare throw ‘thing away’… attach it to your scrap wood tree instead! 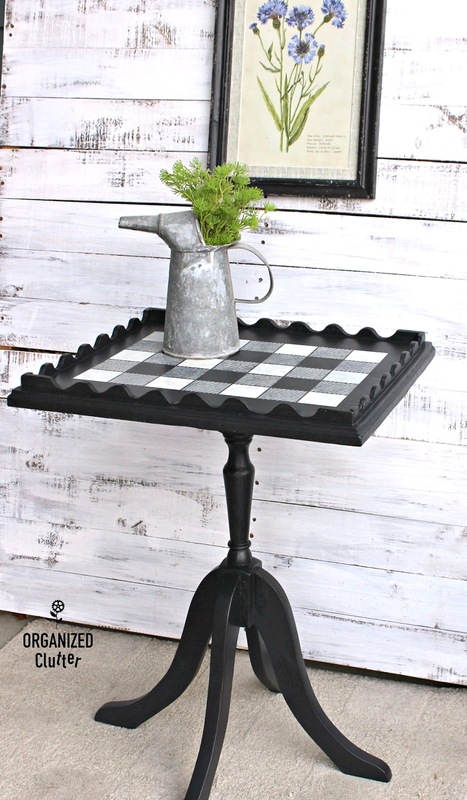 Wouldn’t this make a fun, festive key hanging spot by the front entry? 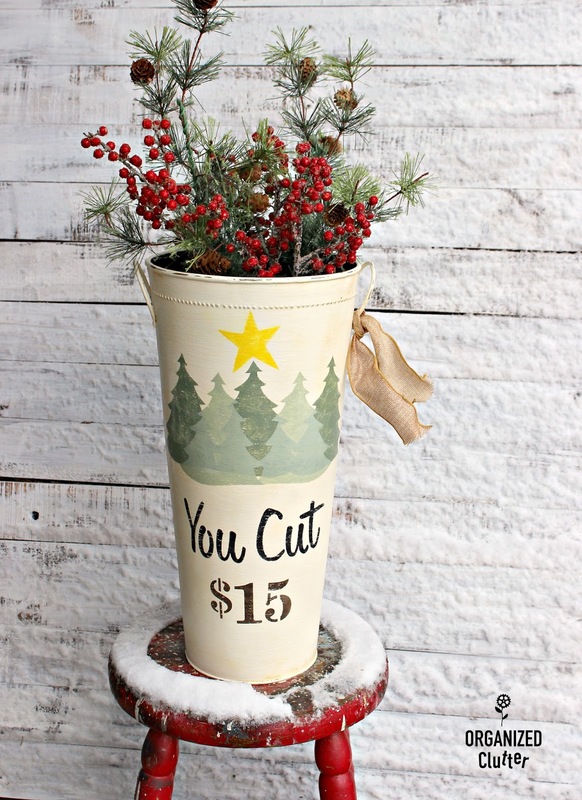 I’ve always been smitten over those stenciled buckets that promised an evergreen branch for a song… and then Carlene performed her magic of mixing stencils to create her own. BINGO. Craft paints hidden under a table, you are about to be unearthed. 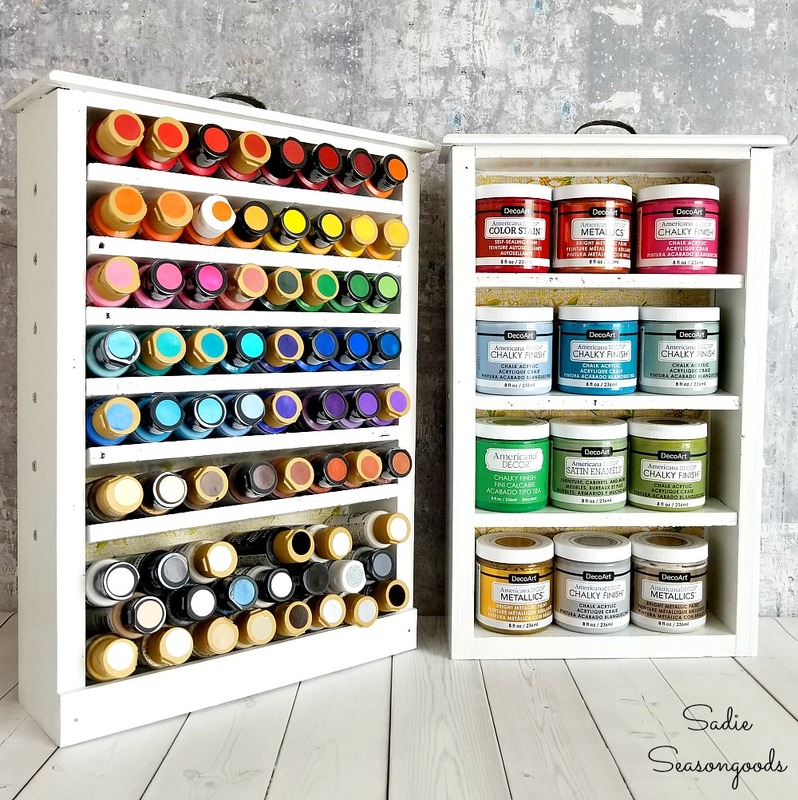 This genius use of old drawers turned into paint storage shelves is a total win! So easy to section things off this way too. Thanks for the party, Donna! Lots of pretty projects! Welcome home Donna. 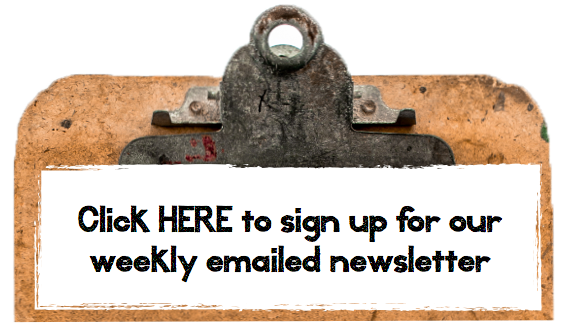 Looking forward to seeing/reading as you share you holiday adventures. Welcome Home, Donna! Hope you had a thoroughly refreshing vacation and can’t wait to see what you’ll be making with some fresh wind on your sails;)Thanks for keeping the party going even though you were supposed to be NOT doing work! Thank you so much for featuring my Christmas tree. I hope you are nice and refreshed after your holiday. I did enjoy the pictures! Thank you for sharing my ruler trees. I’m doing a craft fair this weekend and they are all SOLD! 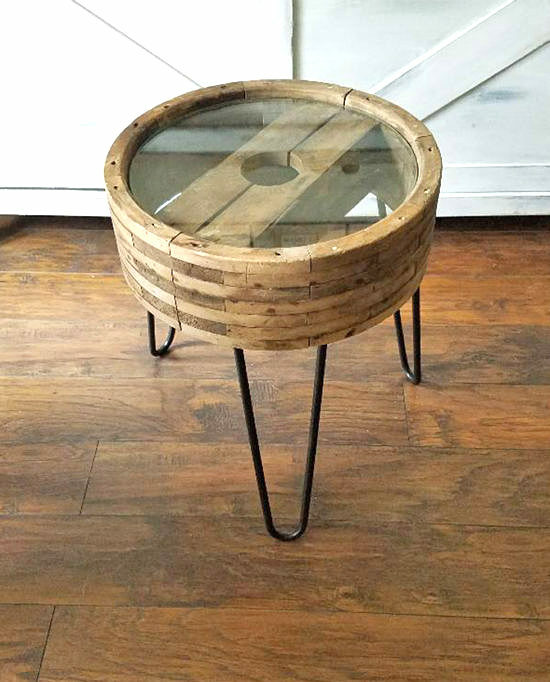 Thanks Donna for featuring my pedestal table and metal vase! 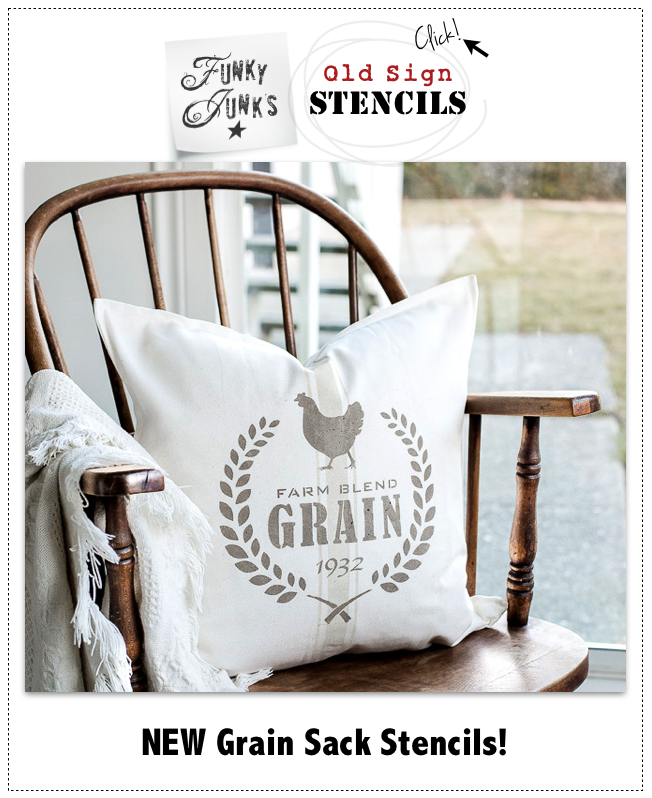 Keep creating your great stencils! 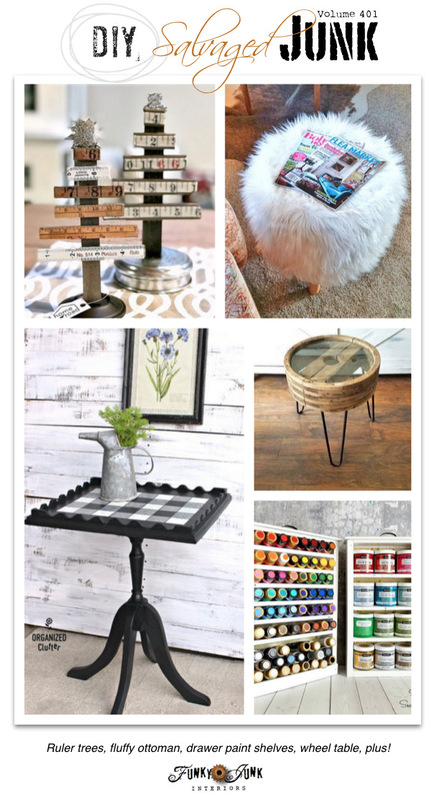 Thank you so much for featuring my Pottery Barn look-alike stool! Thank you so much for another wonderful party Donna! !